According to every publication, statistics aggregator, and our own local business community, Chicago remains the number one destination to visit from our extended readership region. 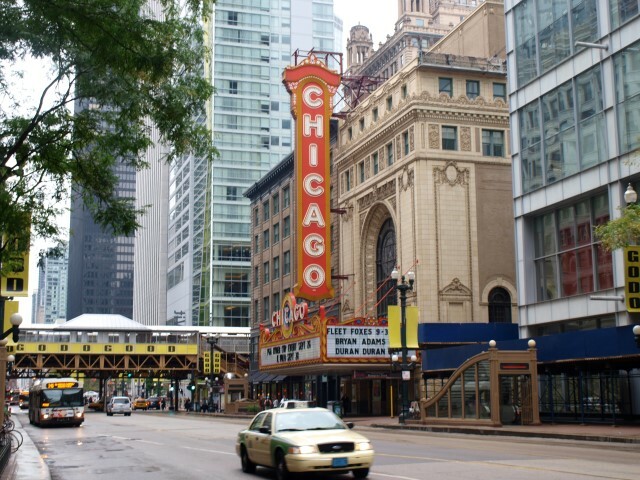 While we see Chicago as a larger GLBT mecca for fun, frolic, and sightseeing, many of us travel to Chicago on business. 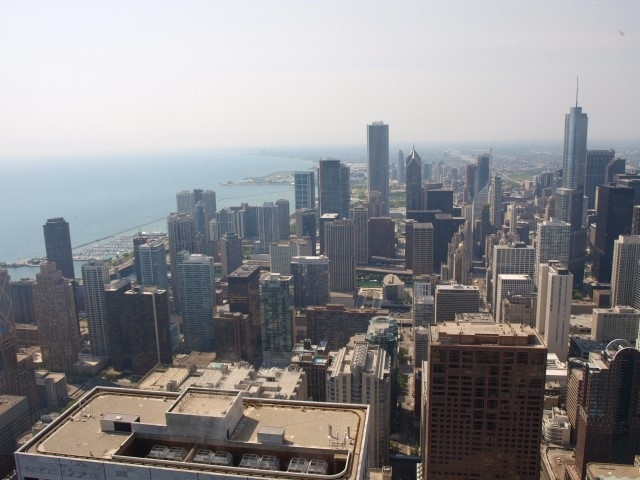 In fact, Chicago remains our primary business travel destination from the Upper Midwest region. Among a large number of business travelers to Chicago is yours truly. I travel to the Chicagoland area at least two times a year for this column and other related content. This trip has been done by car, air, train, and intercity bus. You could say that I have used practically every way possible to get to Chicago to conduct the business of automotive media. As we are a strong business travel segment onto ourselves, perhaps we should look at Chicago from that perspective. How do we travel for business? What works best for what we do to accomplish our goals on a business trip? And, how do we do so as a GLBT business traveler? First off, we should not lump the entire Chicagoland area into one bucket. 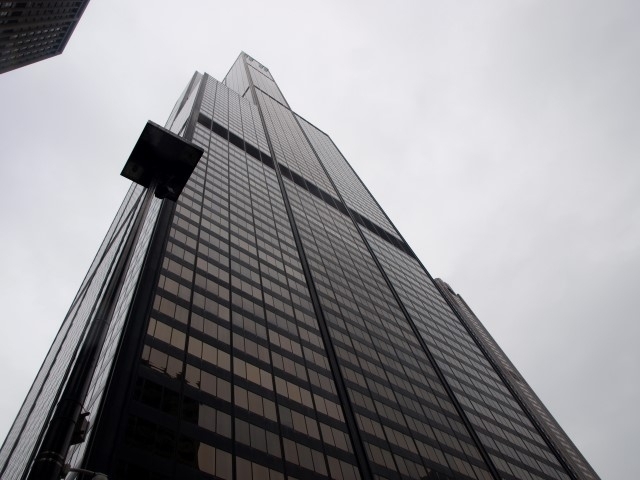 Traditionally, we would conduct our business inside the city of Chicago, but that is not always the case. We do find ourselves in the suburbs outside the city, where a lot of major businesses are headquartered in the area. Think of it as employing two different ways of traveling to Chicago. That is usually the case when I travel there—at least one trip covering the city, and at least the another one in the suburbs. HOW DO I GET THERE? While statistics show that we will more often travel by air, we do find ways to get into Chicago. And yet, we often debate which airport to go through, which airlines to take, the best route to travel by car, and so forth. If you travel by air, both O’Hare and Midway airports usually offer convenient access to the expressway and tollway systems by car, as well as direct access by the Chicago Transit Authority’s “L” system. If you’re traveling by Amtrak or by intercity bus, you will find yourself in The Loop. You will have to find a way out of the city’s core. If your work takes you into the city, the CTA system is your best way around, along with taxis, ride-hailing services (Lyft and Uber), and car sharing services (car2go, Share Now, Zipcar, and Maven). Getting in by automobile actually works best if your work takes you to the suburbs. Public transit is not that accessible the further out from the city of Chicago. Taxis and ride-hailing services can be a bit expensive compared to being in the city. 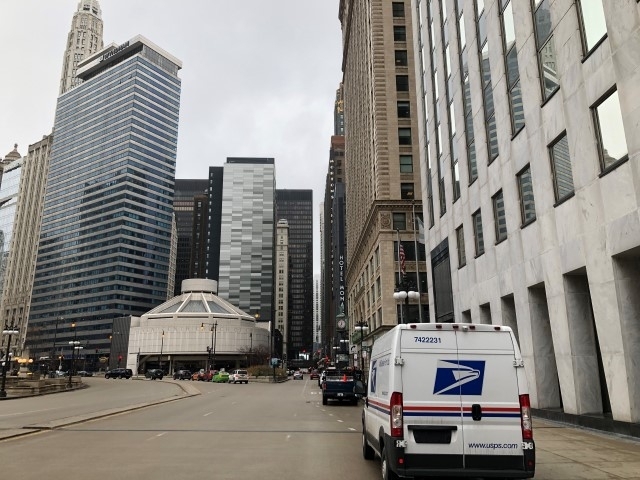 It is a long drive—around six hours to The Loop—but if your business trip happens to be in Schaumburg, Downers Grove, Orland Park, Naperville, or any other suburb, your automobile is your best way to get around out there. GETTING AROUND. For suburban travelers, you may have to consider renting a car from the airport you are flying into. One tip I’ve found when renting a car: check the coverages, taxes, and fees before you book. There was once a time when those extra charges were less at O’Hare than Midway, especially the Loss Damage Waiver. It has gone now in favor to Midway Airport rentals where everything is actually less or equal. The vehicle rates are actually better out of O’Hare. One thing to consider when driving in the suburbs are the toll roads. Some rental cars have toll transponders applied to the windshield of their vehicles. They will clock the tolls used and will be billed at the end of your rental. Be prepared for those extra charges. If your travels take you into the city, it is worth repeating that you can take advantage of the CTA, ride-hailing services, and taxis. Traffic can be a bit daunting during the day – in particular, morning and afternoon rush hour. Take the time not to rush and find yourself stuck in a taxi or ride-hailing service behind some seriously heavy traffic. And, yes, the CTA trains and buses can get crowded during rush hour, too. The point being is to find a comfortable way to get to your appointments and meetings on time. Allow some time, if things seem a bit heavy out there. Again, this is not just for Chicago specifically, but in every instance, you have to travel on business. MAKING YOUR STAY WORTH IT. The one thing I had the best luck in is finding good accommodations whenever I travel either in the city or out in the suburbs. There maybe has been one place I did not feel at home or to work in. That should tell you about a majority of the hotels across the Chicagoland area. Do I have any specific recommendations? The list is long and scattered across a few spots in the area. However, I’ve found that a good rate, combined with great services and amenities will make your business trip a successful one. This is not just for Chicago, but anywhere you have to travel for work. Another good tip is to try to position where you want to stay to where you need to be. Because a hotel in Schaumburg is less expensive than the one right by the place where you will be working out of in Oakbrook Terrace or Naperville, there will be an extra cost in gas, tolls, and time – all of which you could be spending on the higher hotel rate. The same goes for the city. Every year, I work the Chicago Auto Show at McCormick Place. There are now a few hotels that have popped up right by the convention center. 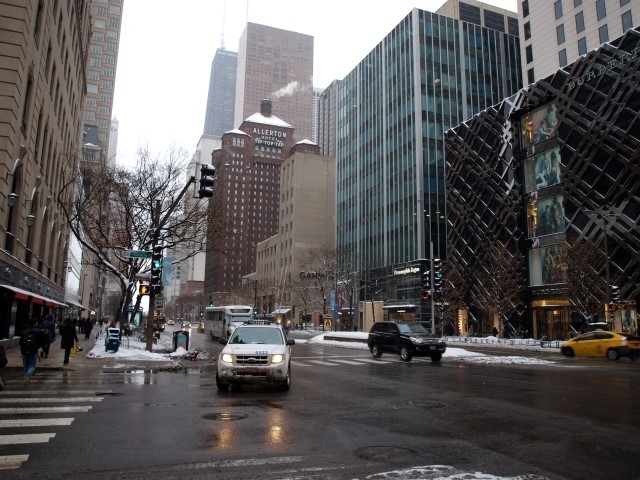 Most years, I end up on the other side of The Loop—River North or Magnificent Mile, to be exact. 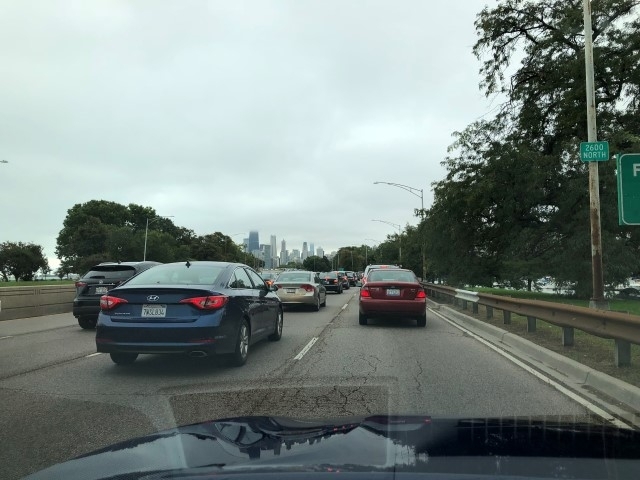 I know that I should stay right by McCormick Place, but let that serve as an example of what not to do when you are planning your business travel on your own. Be strategic and position yourself near where you need to be. HOW ABOUT THE GLBT FACTOR? Chicago has a great GLBT scene in Lakeview East and Andersonville, among some neighborhoods. On business trips, how often do we find ourselves with enough free time to visit the clubs, bars, and shops? The suburbs have a less visible scene, which usually sends one into Chicago itself. If your answer to finding GLBT life anywhere in Chicago is “there is an app for that”, make sure you contact your spouse or partner before you touch those apps. Seriously, Chicago is a great town that is usually friendly where it counts. If you have friends and acquaintances you can trust to know where to go, then the downtime you have on these business trips will be worth it. This is an important tip for those who have ventured into the GLBT community in the Chicagoland area. One thing to consider is safety. Chicago is a great city, but it has had its headlines in the news regarding crime and general public safety. As with any large city, be protective of yourself and trust how you get from one place to another, even on business. I am simply scratching the surface when it comes to traveling on business to Chicago as a GLBT person. We have our own ways to deal with the travel, the traffic, the hassle, and the downtime while we are away from home. My best advice is to simply be on top of your game. That way, you can walk into the hotel lobby, climb into your Uber, drive down the tollway, and walk into your appointment with the confidence in making this journey a successful one.